In the USA, roughly one third of food is wasted; in Massachusetts, one in ten individuals are food insecure. In the fall of 2014, HUDS began donating hot foods that were not eaten by the end of meal service to Food for Free. 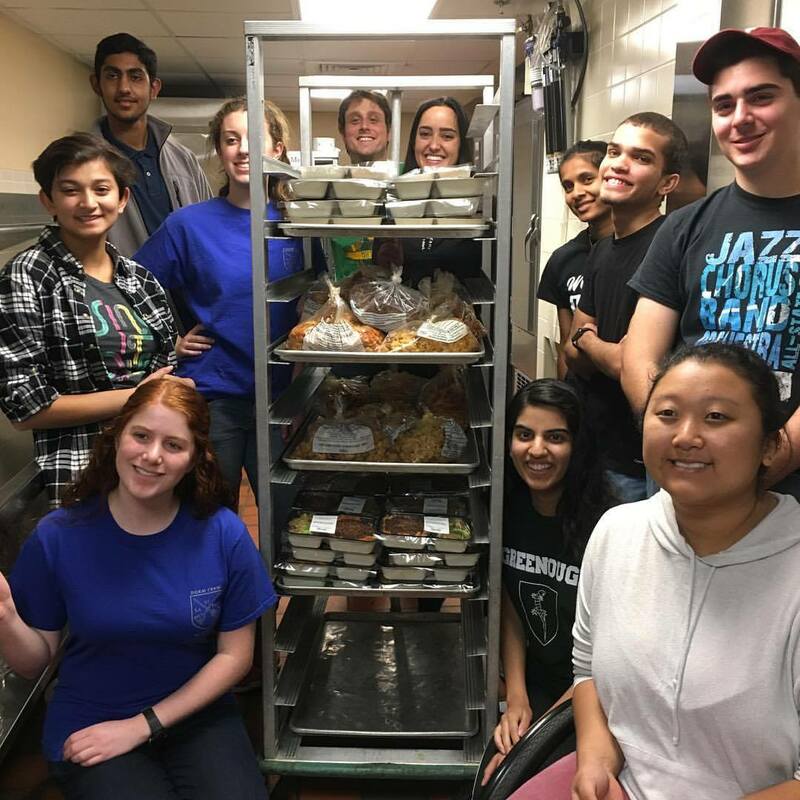 Three years later, HUDS enhanced the donation program by adding a new element: taking the same leftover food from one dining hall and portioning it into nutritionally-diverse, single-serve microwavable meals called Family Meals. These meals are distributed to residential hotels and shelters in the area where food insecure individuals live but do not do not have traditional kitchen space to prepare healthy food. In the 2017-18 school year, HUDS' prepared more than 2,500 such meals at our kitchen in Annenberg dining hall. At the Family Meals Program, volunteers work in Annenberg’s kitchens to repurpose leftover food into meals with dignity – balanced meals of complementing proteins, starches and vegetables.Completed meals are then picked up by Food for Free and shared with families in the surrounding area. The Family Meals program is led by two Food Literacy Project (FLP) Fellows who educate participants about the environmental and social context of food waste. The Family Meals Program has won a variety of awards, including the Cambridge City of Commerce Visionary Award in 2017 and a medal from the National Association of College and University Foodservice in 2018. The Family Meals Program is looking for interested leaders and volunteers. Meal plate-ups happen Sunday, Monday, Wednesday and Thursday, from about 7:15-8:30pm. For a one-time volunteer opportunity, please sign up with a group here. Potential long-term volunteers can email familymealsprogram@gmail.com. Volunteers are limited to Harvard ID holders.